Adam and Rachelle started Epping Lighthouse Ministries in 2009 with a desire to reach the community and surrounding communities with the love of Jesus that transforms lives. After running a teen youth center for 8 years, their lease was not renewed. They are currently looking for a new location to continue that thriving part of the ministry. 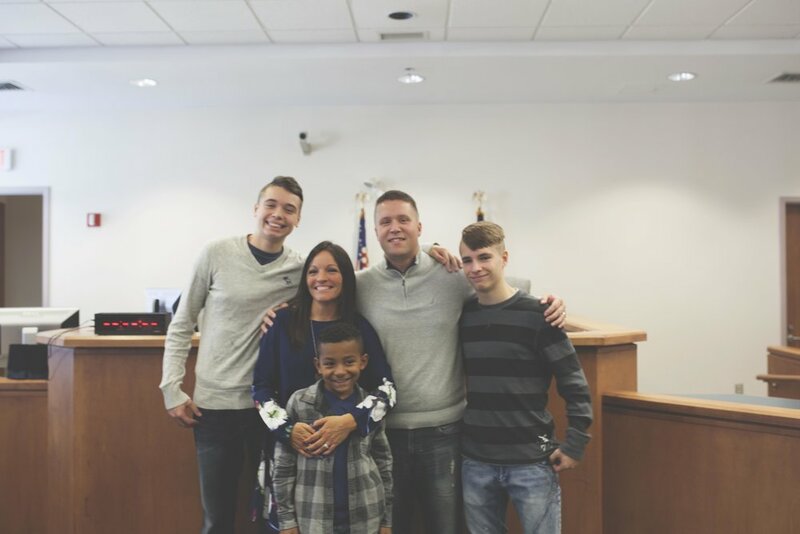 They have 2 biological teen boys, and a 9-year-old son they adopted after fostering him for a year and a half, and are fostering a 3-year-old girl. The story of The Closet started when they decided to add a program to ELM that would help foster families with clothing and supplies for their foster kids…a dream that changed entirely after they were called to take an emergency placement of 2 sisters. I thought I knew a little bit about fostering since we had fostered and adopted. I realized very quickly after we had the girls that I knew nothing. After just a week with them, I had been completely drained in every sense of the word. This placement changed everything I had ever thought I knew about foster care. I remember actually calling a woman from our church who had fostered over the years and apologizing to her for not doing more. I apologized for offering her clothes for the kids, when I now knew that clothing was probably the very least of her worries. I just didn’t know any better. The girls came to us with nothing, but after needing to be with them every second of every day (literally) I realized how much I didn’t care about clothes! I needed someone to make me a meal. I wanted so badly for someone to come over and clean my kitchen. Even though I have a very supportive family and church family, I didn’t even know how or what to ask of people. After 2 weeks, I had given all I could humanly give. I realized at that moment that we needed to do something to offer support to foster families in a way much, much greater than clothing. We needed to offer hands on, practical assistance to help them realize they were not alone. That is how The Closet was born.